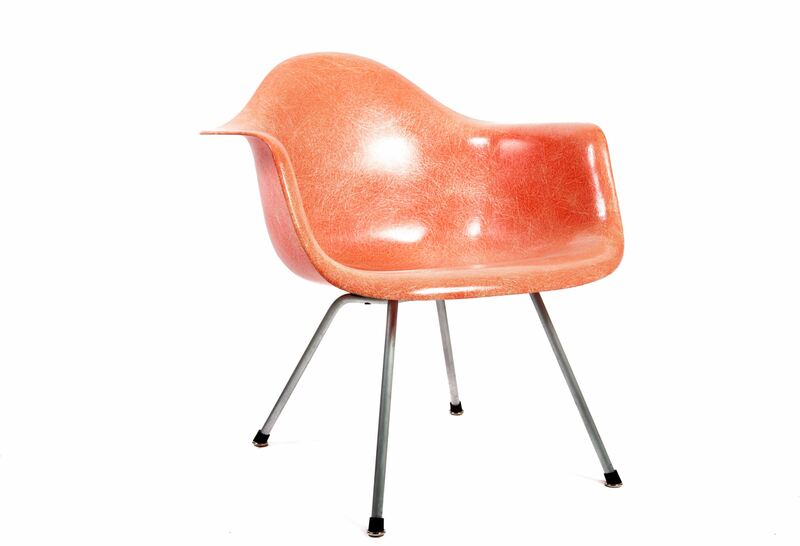 Authentic 1950`s 2nd generation Eames Zenith fiberglass armchair. 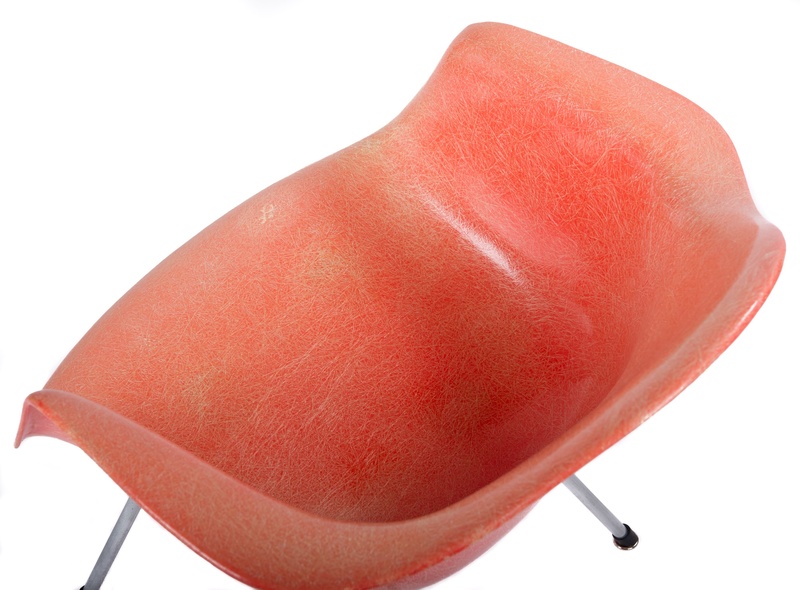 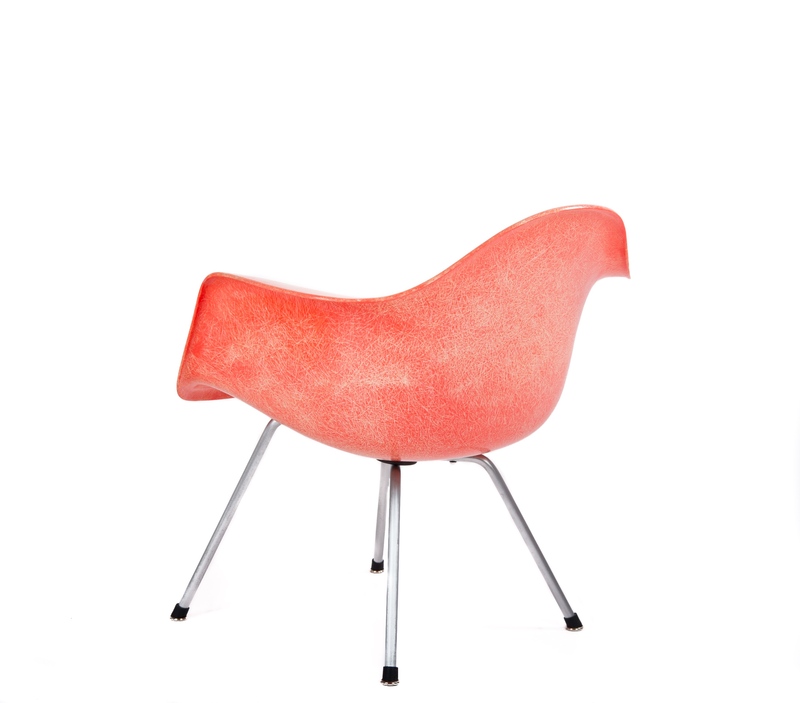 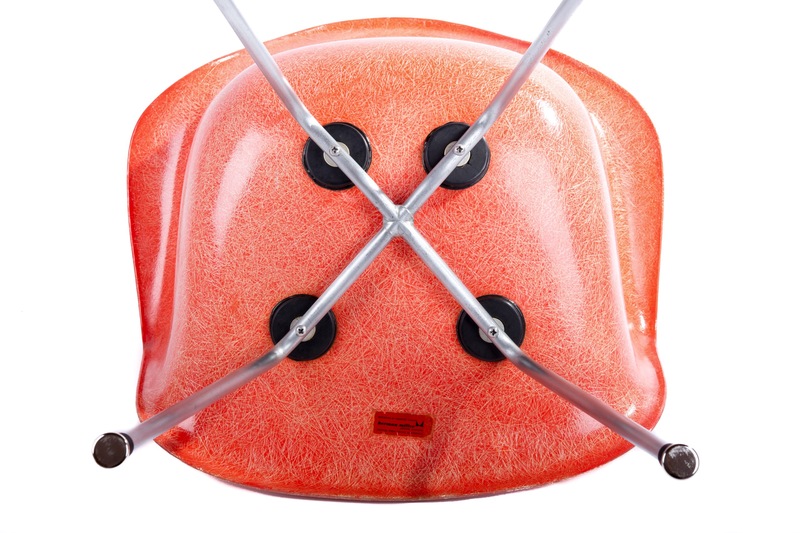 The shell is a beautiful faded red (generally called salmon) color in great vintage condition with the original Eames Herman Miller red "Shipped from Venice California" Label. 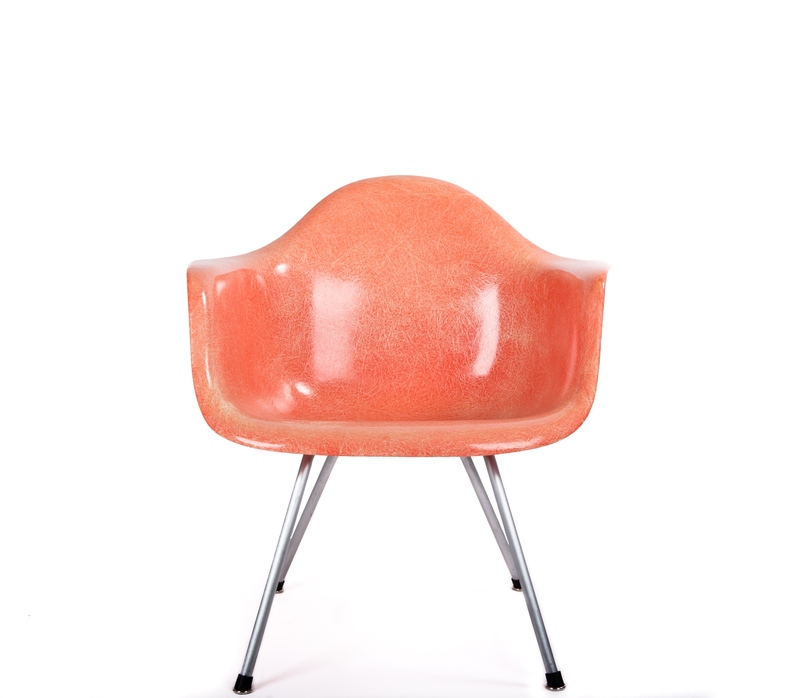 Condition: Excellent, boot glides have been replaced (Modern Conscience), one small imperfection on surface of seat area.